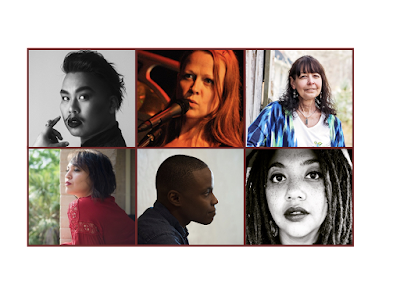 Visit the full announcement for fundraising updates, opportunities to donate and honor treasured poets, and exciting giveaways -- including free books! 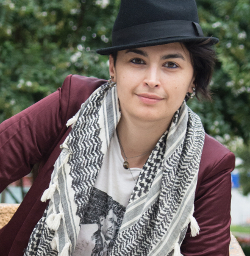 Find more information in Rasha's biography and hiring announcement. In some ways, my story starts in Dupont Circle, Washington, DC. Today when I walked down the block from Split This Rock's offices on Connecticut Avenue to the circle, I could see the building that once held Agostino's Italian restaurant, where my parents met while working as waitstaff in the mid-70s. Their first apartment is a five minute walk from the office where I type this letter. I first moved to DC in 2014, but in some ways I am coming back to my own origin story. In this time travel, I show up for leadership grounded in diasporic lineage and deeply rooted in place, down to the very block and corner. As a Palestinian Southerner raised in a small town, place and land and community and history and lineage mean so much to how I understand work, relationships, and building trust. I receive the invitation to lead at Split This Rock as a sacred trust -- especially when the material stakes for all our folks are so high and particularly in Washington, DC, this historically Black city that plays national and international stage for political theater. It's a city that has been fought for by so many generations of organizers, artists, teachers, students, and families. I arrive at Split This Rock committed to the people who are committed to the communities they're from or living in. This interim position is a two-year commitment to being a conduit for community leadership, family. We will host the 2020 Festival together and weather the 2020 election cycle. We will be working in DC neighborhoods and schools when Amazon starts building its headquarters in Arlington, Virginia. I'm looking forward to working with you all to clear pathways in our movements and our art, to pivot and tug our ship to wider waters, and to midwife the next generation of leadership. Do you already know that Split This Rock is staffed by a tiny but mighty team? We currently run all our programming -- including a national poetry festival, citywide youth programs, a weekly poetry series and online database, and monthly open mics -- with just 3 full-time staff and 2 part-time administrative staff. To stabilize current programs, we need a minimum of 5 full-time staff. To fully meet the demands for our work locally and nationally, we would need to employ 10 people and contract two dozen more as local teaching artists, festival staff, and curatorial fellows. 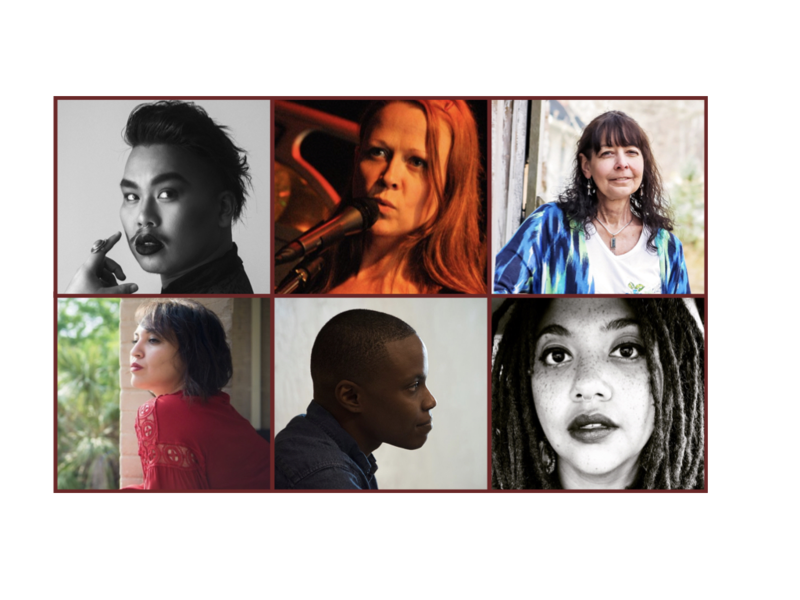 Help us grow toward that abundant possibility, lift the work of all our communities, and widen the zone of leadership to employ more poets, organizers, and teaching artists. Because I work in the lineage of artists from Southern Freedom movements, I know that art and culture and storytelling are how we call out truth, defend ourselves, and find each other. As artists and poets, we are keeping the hands and heart of movement warm, the mind of movement sharp, and the tongues of movement fluent. We are building tools with our words, and we are gathering fuel. In each era, we will need new songs. We will need to bake the daily bread of art to keep us going. We are in a literary and cultural renaissance and a generational wave to renew our languages, even as we are in the fights of our lives. I just signed up to become a sustaining donor to Split This Rock at $25/month, roughly the cost of one dinner out. There have been times when I couldn't afford to donate to the people and groups that kept my body and heart alive, but when I can, I do. I see community-based fundraising as an act of community self-defense. When infrastructure fails us, we must turn to each other. We must give material support to folks who are keeping social justice movements alive, keeping people alive, keeping communities alive and possible. Please join me in supporting the people and work you are grateful for this year, wherever they are. Defend what you love. Fund what you treasure. To invest in Split This Rock, visit the website and donate today. Or send a check made out to "Split This Rock" to 1301 Connecticut Avenue, NW, Suite 600, Washington, DC 20036. There is so much to do, and we have so many conversations before us. This'll do for a start. 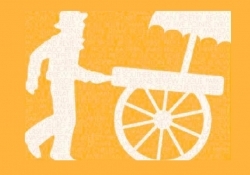 Split This Rock is very pleased to announce its 2018 nominations for the Pushcart Prize. These poems address the power in our vulnerability. They look at the damage done by colonialism and hetero-patriarchy in our society, our families, and in our private emotional worlds. These poems name the terror of that violence. They reach into genealogies and communities for sources of resistance. And one of them personifies an elemental force of destruction in a new mythology. The selected poems, like the six Split This Rock nominated for Best of the ‘Net 2018, are poems we reread to feel connection to community and to remain awake to possibility in these difficult times. We hope they nourish you as well! You may visit these and over 500 other poems of provocation and witness in The Quarry: A Social Justice Poetry Database -- a searchable digital anthology of poems by a diverse array of contemporary socially engaged poets, published by Split This Rock since 2009. Like all Split This Rock programs, The Quarry is designed to bring poetry fully to the center of public life. Searchable by social justice theme, author’s identity, state, and geographic region, this database is a unique, rich resource. The Quarry offers poems that will inform and inspire you, your peers, and all with whom you work and collaborate. For search tips, visit Split This Rock's website. You might not only read these poems but also use them to keep yourself grounded, to open meetings, to share among discussion groups, to email to representatives to encourage them to keep working for the general welfare, or to share with those who might benefit from perspectives different from their own. To learn more about The Quarry and its uses, visit its webpage.